Marble size orange cherries that are exceptionally fruity and sweet. Plants from this seed grow very tall and produce until frosts. 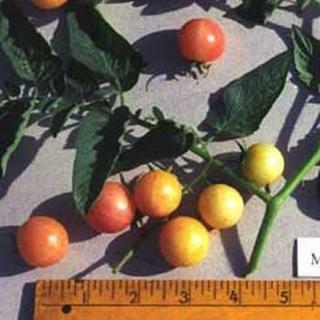 Marble size orange cherry tomatoes that are exceptionally fruity and sweet. Plants grow very tall and produce until frosts. Team up with Matt's Wild Cherry for a great salad topper.